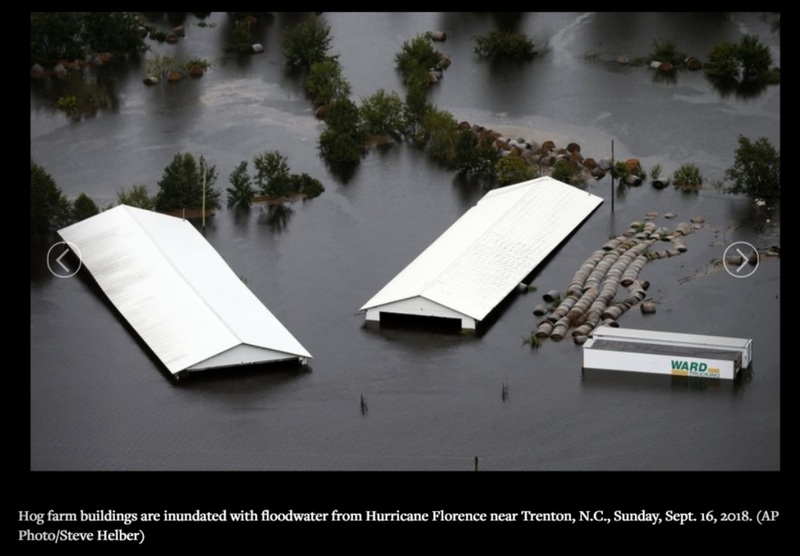 Hog farmers in North Carolina are watching with great concern the still-rising flood waters brought by the historic impact of Hurricane Florence. Efforts continue in affected areas to provide feed and care for animals, and fuel to power farms, while ensuring safety for our farm families and farm employees. On-farm assessments and industry aerial surveys conducted today determined that flood waters have reached portions of our farms in at least three locations. We know that, in these same locations, animals were moved in advance of the storm or are continuing to receive attention from farmers. In many locations, trucks have been able to continue to move animals in response to the flooding. Given that record-shattering flooding is forecast to persist for days, we expect additionally affected farms. We do not anticipate severe impacts to the vast majority of the more than 2,100 permitted farms in the state. 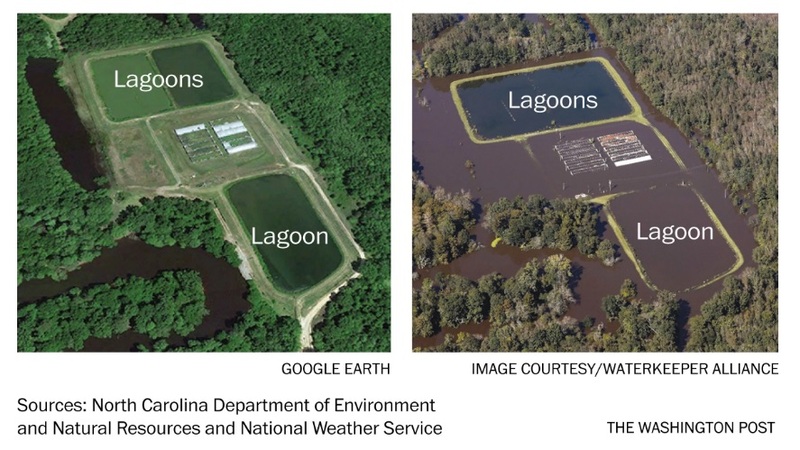 There are no reported breaches of treatment lagoons and no reported instances of lagoon contents spilling out, known as overtopping. We are saddened that Hurricane Florence has caused the loss of human life and has so broadly impacted state, county and municipal infrastructure, civic properties, and homes and businesses across Eastern North Carolina. 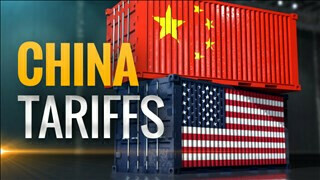 This impact includes all sectors of crop and livestock agriculture. Many hog farmers continue to assist with the ongoing emergency response in their communities, and we are grateful for their efforts. Additionally, we are thankful for the outpouring of support and prayers from across the nation for our farmers. We urge caution and context from the news media when reporting about our farmers. In advance of the storm, and since its onset, the North Carolina Pork Council has seen widespread instances of inaccurate reporting in the media about the pork industry in the state. For example, on Sunday, Sept. 16, the Associated Press published and distributed nationally a photograph that labeled two garages as a hog farm. 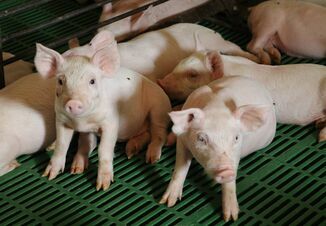 In previous years, we have seen photos of municipal waste plants, poultry houses and other agricultural facilities inaccurately labeled as pig farms. We have seen barns that have been empty for multiple years characterized as active hog farms. We urge caution, especially in a breaking news environment where initial information is often inaccurate. It is precisely in these first hours and days that activists with an agenda seek to exploit the media – or the media simply gets it wrong. 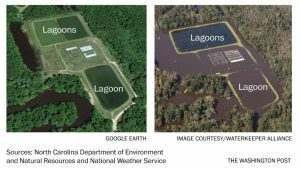 Our request: Beware of what you hear about hog farms during Hurricane Florence.